Secrets To Level 7 Gymnastics is almost 250 pages of advice from professional master gymnastics coaches about how to prepare, train and compete in women's USA Gymnastics Level 7. This program will answer all your questions about Level 7 competition and building a successful gymnastics career for the future. Get a new perspective on coaching Level 7 gymnasts. Find more innovative training ideas and concepts for training Level 7 gymnasts in this e-Book than is available anywhere else. Learn all the information you need and want to know about your Level 7 gymnast’s entrance into the beginning level of competition in the sport of gymnastics. Find out all about Level 7 competition and training and what your gymnast can and should be doing to be happy and successful in the sport. Secrets to Level 7 Gymnastics is the result of an obsessive quest, spanning more than 25 years, to create the best gymnastics training that takes the least amount of time. It contains the collective wisdom of many world-champion coaches, elite gymnasts, and tens of thousands of hours of research, experimentation, and refinement. This Level 7 e-Book covers the new skills for the 2005 – 2013 competitive seasons. An e-Book specially designed for Level 7 gymnasts, coaches and parents with hints and tips to teach you everything you will ever need to know about training for and competing. 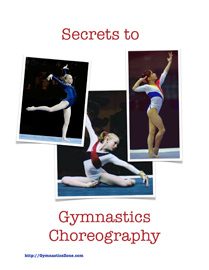 This is an interactive e-Book specially designed for Level 7 gymnasts, coaches and parents. After years of preparation and combining the experiences of professional National and International gymnastics coaches, here is a complete package of information with hints and tips designed to teach you everything you will ever need or want to know about training for and competing Level 7. If you’ve always imagined yourself running or participating in a successful Level 7 training program and beating the competition, then this may be the most important information you can read. These are proven training systems, not only for your current competition level but for your gymnastics future as well. There are over 330 pages of pictures, information, worksheets, charts and spreadsheets packed with specific training and competition information designed to prepare you for competing your routines in Invitational and State gymnastics competitions. This information program covers every area of the sport that relates to Level 7 gymnasts. The e-Book also offers important information about gymnastics in general, written from the experienced perspective of professional National and International gymnastics coaches. This program offers a complete detailed analysis of the Level 7 skills and routines, common errors, maximum amplitude analysis, learning progressions and drills to improve every aspect of the Level 7 competitive routines. This analysis is offered by coaches who train high level optional gymnasts and is designed to make your Level 7 experience not only successful this year, but a stepping stone to the next level and to the higher optional gymnastics levels. Read the most detailed analysis of the skills in the Level 7 routines that you have ever seen. Get a training perspective and knowledge just like you were sitting down with your own personal coach, who has taken the time to explain to you everything you need to know, and everything they know about training and competing for Level 7. No coach we know has the time or has taken the time to sit down and fully explain completely what their training program consists of, why it is designed that way, and what gymnasts could do to greatly improve their practices and performances. Our coaches have compiled all that information for your use and you can sit down and read it at your leisure. It is the rare Level 7 coach who has the perspective and experience reflected in this e-Book. In fact, hundreds of our e-Books have been bought by coaches who want to learn more. You can learn right along with them and know what they know. Get our e-Book edge advantage being used in hundreds of gyms around the country. Understanding the information and following the advice in this program can allow you to move through Level 7 and the sport with more confidence, less effort and in less time. You can master the skills and drills in this program and benefit long term or you can skip the basic building blocks provided here and face a future where at some point your bad habits will stop you short on your way to long term success. What are the most important skills in the Level 7 routines. How to avoid common errors on the skills in the Level 7 routines. The program shows you the proper learning progressions for all of the level 7 skills and the skills you should be training for the next level. It teaches you how to train at three different levels every day on every event and how to over train for Level 7 competition. This program not only a blueprint for training for Level 7, but is a training plan for preparing for advanced optional team training at the same time. Our materials provide gymnasts, parents and coaches with a complete education as to all aspects of the of Level 7 and its place in an overall gymnastics career. This program was developed from the top down. The coaches, information, concepts and training program are from high level optional training programs carefully and specially adapted to coaching Level 7 gymnasts. This e-Book program normally would retail by itself for $77.00 and is worth every penny of that. That’s what you might pay for a one hour private lesson with your coach. With this you have hours of reading and information that you can keep, re-read and use over and over. Get The Level 7 Program And 10 Bonuses! What Future Optional Combinations Does Level 7 Leave Out? What’s the Good News about an Injury? The most important training, motivation and gymnastics success tip we can offer you is to follow this method of optional gymnastics training. We recommend it as the preferred training method for every gym and coach, but if your gym does not adopt and use it, you can still do this one-step program on your own at the gym during your regular practice. Until you reach the Elite level, the name of the game is progress. You need to continue to make progress in this sport to be successful. This training method is simple but is very powerful. You need to set a mental goal to make one step more of progress than you did the day before in every category of every event and work everyday to achieve those steps of progress. 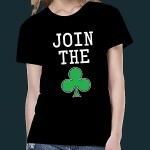 You want to try to make progress on every event and on every type of skill set within each event. When you have made that step of progress, you are done on that event or skill set for the day and should move on the next skill set or event. When you have made progress on every event, you are done working out for the day. A few examples of categories in events would be front tumbling on floor, back tumbling on floor, twisting saltos on floor, dance-acro series on beam, flight series on beam, low bar to high bar skill on bars and dismounts on bars. While our goal is to make one step of progress in every category everyday, making one step of progress in any category each day is rapid progress, indeed. There are a number of different types of improvement you can make. You can learn a brand new skill (or skill progression). You can add on to a skill or progression you learned yesterday. For example, if you just landed your first full yesterday, today you can add a back handspring. You can improve your consistency. For example, if you stuck three out of five back walkover series on beam yesterday, today you could stick four out of five. You can stick more skills in a row. Yesterday you stuck two skills in a row. Today you stick three in a row. You can improve how a skill is executed (how good it looks). You will need your coach, someone else or a video camera to score this. Or you can simply do more skills than you did yesterday. Yesterday you tried five aerial cartwheels on low beam and didnâ€™t stick any. Today, if you donâ€™t stick any, you should try at least six. Any one of these indicates you have improved or increased your workout level. This means you have made progress and you deserve to and be should be proud of yourself. The most fun and exciting step to make is to learn a new skill everyday. For example, if you learned a round-off, back handspring, full yesterday, you will want to do a round-off, back handspring, full, standing back handspring today. Tomorrow, you will set your goal to learn round-off, two back handsprings. The next best improvement is to improve the consistency of a skill you can already do. For example, if you have set a personal record of 4 front handsprings on beam in a row without a fall, your goal for today is to try to do 5 in a row. Another method of tracking consistency is your no-fall percentage (not necessarily in a row). If you have made 4 out five back handsprings on beam without a fall, your goal is to make 5 out of five today. Some days you may come in and hit your goals, learn a new skill, set a new record for skills in a row and be ready to move on. Other days are not so easy. But there is always one record you can beat if you try long enough and hard enough and that is the number of skills you tried to do. So if when you are working on back handsprings, and you arenâ€™t ready to move to the next skill (scale step-down, back handspring), you canâ€™t set a new record for the number in a row and your consistency is worse than it has ever been, there is still a goal you can hit. You can still say the most back handsprings I ever tried in practice (stuck or not) was 22. Today, no matter what I am going to keep working until I have done 23. There is another improvement you can make but it will require input from your coach. You can improve how well you execute (do) a skill. Your coach scored you last week at 9.4 on your handspring vault. Today, he scores you 9.5. You have improved your one step. Other than the execution improvements, which are different because they require participation by your coach, the steps are in the order you want to attempt them. First, you want to try to learn the next new skill in the progression. If you donâ€™t accomplish that, you want to try to stick more in a row than you ever have before of a progression you have already done. Even if you canâ€™t get them all in a row, if your consistency percentage improves that is your next try at improvement (move from 4 out of 5 to 5 out of 6). If that kind of progress doesnâ€™t come, you can still work hard and put in more numbers of skills done than you have before and wait for your hard work to pay off in one of the other steps of progress in the near future. Any one of these is an acceptable daily improvement. Feel proud and move on. Notice we have said one step of progress. Some days are great days and you come in and everything is working and you can make tremendous progress in one day. Our personal coaching record is the girl who asked how to do an aerial cartwheel on floor and by the end of open gym was doing it on high beam by herself. (We didnâ€™t teach her it, she just did it on her own). The problem was that on Monday, she couldnâ€™t do it on the low beam or even a line on the floor consistently because she wasnâ€™t having as good a day. We usually donâ€™t have the heart to stop progress as it is being made, because it shows you what you are capable of. But the only real and true progress is made one step at a time and is doable again tomorrow, whether it is a good day or a bad day. We are only really interested in this type of permanent progress. Slowly, slowly. There is real power in the one step of progress system. One step of progress on each event multiplied times say 300 practices per year. Multiply that times the 4 events and the event sub-categories. That is thousands of new skills and skill progressions learned and huge improvements in consistency and execution. The system is also very powerful for gymnasts who typically show lots of fear. Because they are only being asked to take one more small tiny step of progress from what they know they already did yesterday, they can deal with progress. Ask them to make a big jump, like from layout immediately to full and they freeze. But when we break down that progression into steps, they are able to make a small step everyday and in a month or so be doing the skill. Not bad â€“ a full in one month or less. *We donâ€™t usually break down the skill this far, but we did this for a very fearful gymnast and also added in steps on tramp and in the pit. This system works terrific for gymnasts who are scared and fearful and even better for gymnasts who are not. In fact, the best female tumbler we have ever seen was also one of the most scared gymnasts we have ever seen. But we watched her progress in the gym from double layouts to skills like full in, full outs in layout and double layout, whip, flip-flop, flip-flop to double pike in one season. All with very tiny steps of progress (and a lot of power and talent). So track what you have done in the gym, set your next days goals and everyday go in and do better or do more and you will look up in a few months and find you have such tremendous progress you wonâ€™t be able to help being proud of yourself. A three sheet simple worksheet to enter and track pre-selected and goals you have created on your own on a daily, weekly and annual basis. A four-page document about flexibility and body posture testing. Initial flexibility testing is in line with the strategies in the Secrets to Level 7 Gymnastics book for young gymnasts to develop strength and flexibility first in their gymnastics career. Subsequent flexibility testing grading lets gymnasts know when they have reached acceptable and excellent levels. The one-page daily workout log is a unique combination of a gymnastics diary; event, injury and goal tracking and a psychological evaluation of what happened at practice. It is designed so it can be quickly and easily filled out by gymnasts on a daily basis, either for their personal use or to share with their coach.